Bundesliga | Jiri Pavlenka, Bernd Leno, Sven Ulreich and Lukas Hradecky: Which Bundesliga goalkeeper is number one? 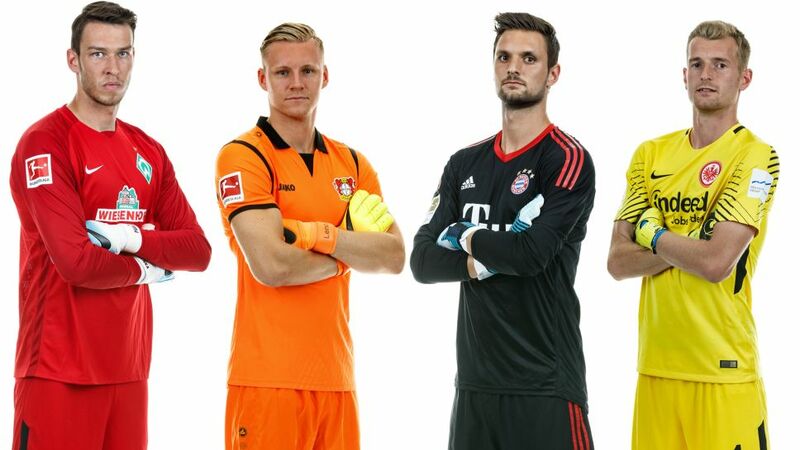 Jiri Pavlenka, Bernd Leno, Sven Ulreich and Lukas Hradecky: Which Bundesliga goalkeeper is number one? Manuel Neuer's prolonged injury-enforced absence has allowed several Bundesliga goalkeepers to step out of the shadows of one of the world's most complete custodians this term and prove how the Bayern Munich number one has inspired a generation of goal guardians. His understudy Sven Ulreich has barely put a foot wrong, raising calls for him to be included in Germany's World Cup squad this summer and earning him a new contract through to 2021 with the record German champions. Watch: Pavlenka against the world! Given Werder Bremen's toils at the bottom of the table this season, it stands to reason that their Czech goalkeeper Jiri Pavlenka has been kept busy. The northern German side could have been dead and buried by now, though, had it not been for the heroics of the 6'4" gloved guardian angel who has a higher percentage of saves than any other goalkeeper in the Bundesliga this season. "I knew a bit more about him when he joined us and knew that he'd help us, but he's surpassed all my expectations," said Bremen's Czech international right-back Theo Gebre Selassie. "His save against Hoffenheim was unreal - he saved us again." It is becoming something of a theme for a man who has thwarted over 78 per cent of efforts on his goal and kept seven clean sheets in his debut Bundesliga season. Werder Bremen's goal will surely be defended by only one man for some time to come. Since joining Bayer Leverkusen in 2011, Bernd Leno has missed just three Bundesliga matches. That's three matches in the last seven and half seasons or 229 matches. For a 26-year-old goalkeeper at one of Germany's foremost clubs, such lonegvity is quite incredible and speaks to what a fantastic competitor he is. Indeed, you don't earn that untouchability for nothing and Leno continues to confirm why he is his club's undisputed number one, with seven more clean sheets so far this season to push Bayer back up the table after the team struggle in 2016/17. More in the Neuer mould, Leno's shot-stopping ability is only one dimension of a playing style that is based more on his overall team involvement. Modifying the sweeper-keeper role and becoming even more actively involved in Leverkusen's fluid football has seen Leno average more touches of the ball and play more passes than any other goalkeeper this term. Second only to Ulreich in terms of goals conceded, Hradecky has run a very tight ship indeed at Frankfurt this season, inspiring his side to an unexpected push for UEFA Champions League football next season. That is a stage where the 28-year-old would not look out of place either, with the Flying Finn filling the gloves of Paris Saint-Germain's former Eagle Kevin Trapp to perfection. Last season, Hradecky was beaten by just 10 of 18 penalties in three DFB Cup shoot-outs as he almost single-handedly took Eintracht to the final. His shot-saving ratio also hit 75 per cent, and there would be no surprise if Finland's Footballer of the Year for 2016 and 2017 did not make it a hat-trick of gongs in 2018. A great communicator and a powerful presence at the base of Frankfurt's defence, Hradecky also routinely pulls off incredible saves, and fans can look forward with relish to him testing his mettle in Europe next term, should Niko Kovac's side maintain their progress this season.